Drainage Problems? Call in the experts! At Clark Drainage, there’s no problem too big or too small for us to tackle. Our expert drainage technicians know how to fix virtually any issue you might be facing with your drains, and they arrive equipped with everything needed to get the job done there and then. Available 24/7, and with an average response time of 1-2 hours, Clark Drainage is the ideal choice for fast, effective drainage services at a low price. Get in touch today to find out more about what we can do for you! 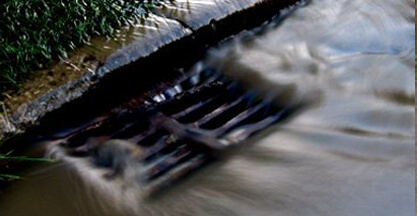 As the number one choice for drainage services in the whole of Scotland, Clark Drainage is happy to work with both home and business owners to keep your drains clean and clear at all times. What’s more, we can come in at a time that suits you, to keep any disruption to a minimum. Whatever you need, we are always happy to help. Drainage problems could strike at any time, so they aren’t something you can budget for in advance. That’s why we price our services as low as possible, while still offering a top-quality drain unblocking and repair service. We provide all our customers with accurate quotes up front, so you understand exactly what you are paying for, and how much it will cost. You won’t find such high-quality work for a better price, making Clark Drainage the perfect choice for all your drainage needs. When a drainage emergency strikes, it’s essential that you act fast to minimize the damage done. That’s why we have a fleet of technicians ready to go around the clock. Our average response time in an emergency is just 1-2 hours, so don’t panic if your drains start flooding. Just call Clark Drainage, and we’ll have someone there to put things right in next to no time. To deliver the best results, we use the most advanced equipment around. Our high-powered jets make short work of most blockages, meaning we can provide you with a fast yet effective service. 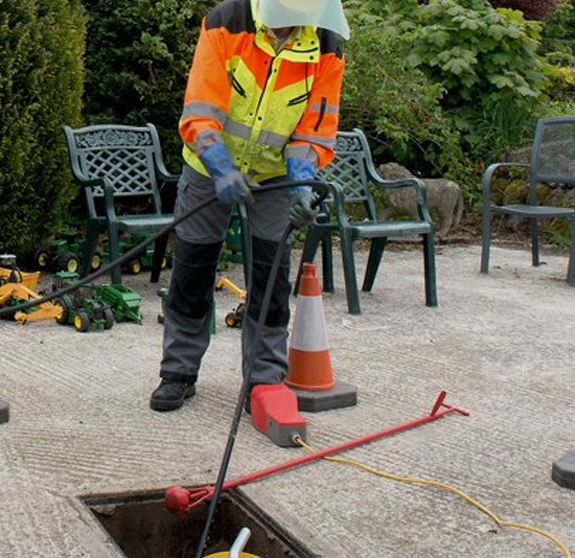 If there’s a more serious problem with your drains, then we’ll use high-definition CCTV surveying equipment to determine the most cost-effective approach. There’s never a good time for your drains to get blocked up. At work, it could leave your business out of action while you get the problem fixed. At home, you might well be unable to run a bath without flooding your floor. What makes things even worse is that drain systems are often pretty complicated- so it can be difficult for the average person to even find the source of the problem, let alone fix it. There’s no need to struggle with unblocking your drain yourself, though. From businesses to residential properties, our expert drainage technicians are always on hand to help. Just give us a call, and we’ll be happy to come out and get your drains flowing again in no time at all. What makes our service so special? Well, we have access to all sorts of tools that help us to clear any blockage we might come across. A lot of the time, the problem is down to debris clogging up the pipes, and preventing the water from flowing properly. In these cases, we’ll use our simple yet effective drain rods to clear the blockage right away. In more extreme instances, we can use high-pressure jets of water to blast the blockage into oblivion. It’s not all about the equipment we use, either. Our expert drain technicians are all highly-trained professionals, who know their way around drains like the backs of their hands. In the vast majority of cases, they can identify the problem within minutes- meaning we offer the fastest drain unblocking service around! What’s more, they always go the extra mile to make customers feel at ease, and can even give you some handy tips on how to stop the issue from happening again. We know that a blocked drain can be a real pain, and we don’t want to cause any more disruption to your everyday routine. Our technicians can come out to your property at a time that suits you, since they’re available around the clock. From one-off unblocking services to regular maintenance, we always get the job done thoroughly and efficiently, and can get things back to normal as soon as possible. Next time you start having problems with your pipes, bring in the experts- we’re only ever a phone call away! Has your sink or bath stopped draining as fast as it used to? Then there’s a good chance that it’s starting to get clogged up, and could do with a good clean. Over time, dirt, limescale, and other debris will gradually build up inside your pipes. If you let the problem go too far, then it can cause some serious damage which can cost a lot to repair. For that reason, it’s a smart idea to keep your drains clear and clean at all times- and luckily for you, that’s where we can help! When you call in Clark Drainage, you can rest assured that our technicians will do a thorough job of cleaning every last inch of your drains. Using the best cleaning products on the market, as well as advanced technical equipment, they will leave your drains as good as new. With over a decade of experience, you won’t find a better drain cleaning service in the whole of Scotland. What’s more, our commitment to customer service is second to none. If we uncover any more serious issues in the course of our cleaning service, we can put things right fast for a very reasonable price. Our technicians will also give you plenty of handy tips on how you can keep things flowing properly in the future, too. You’d be amazed how many common drain issues can actually be prevented with just a simple cleaning service. Regular maintenance also stops those little problems from developing into bigger ones, so it more than pays for itself in the long run. When you factor in our experience and expertise, too, then the choice is clear- Clark Drainage is the way to go. You can count on us to handle all your drain cleaning needs, and keep everything in top working order. Find out for yourself just what makes us the number one choice for drain cleaning in Scotland- contact us today, and we will be happy to provide you with a no-obligation quote for whatever you need! It used to be the case that the only way to check pipes for cracks, blockages, and displaced joints was to have a technician go over them manually. Not only did this approach take a lot of time, but it could also be extremely disruptive to clients. Thankfully, though, things are a lot simpler nowadays. 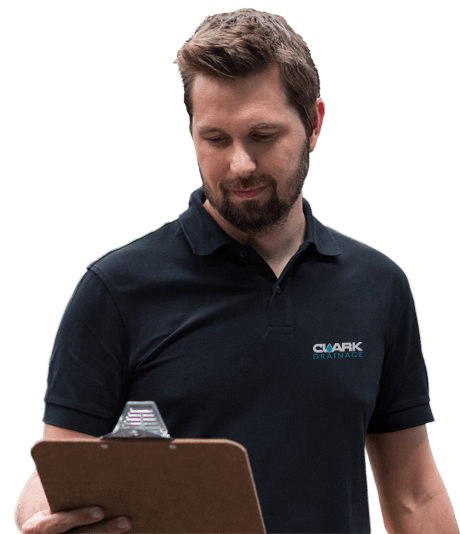 By utilizing the most advanced technology on the market, Clark Drainage can easily perform a full CCTV survey of your drainage system remotely. Using tiny yet high-clarity cameras, they will explore every inch of your pipes to identify any and all issues that might be causing problems with your drains. Our cameras get to work fast, meaning our technicians can quickly determine what needs to be done to put your drainage system right again. As well as speeding up our service, this also allows us to provide extremely accurate up-front quotes. You don’t need to worry about nasty surprises down the line- we always go out of our way to provide an open, honest service. We also provide in-depth reports on all our surveys, as well as DVDs of the footage itself. It’s so high-definition that cracks and faults in the pipes are clear even to the untrained eye. As well as spotting problems in the pipes of your current home or business, our CCTV service is also an excellent choice for property surveys, too. Within minutes, we’ll be able to tell you if the drainage system has any faults which could cost you money further down the line, as well as quoting how much it will cost to put them right. Instead of rushing blindly into a sale, we’ll gladly help you to make a fully informed decision. 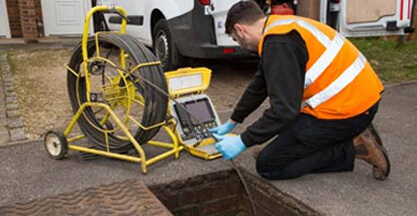 Whether you need to identify the source of a drain problem, or are just looking for a little extra peace of mind about your pipes, a CCTV drain survey is the ideal way to fully assess your drainage system. Our service covers residential, commercial, and even industrial properties, so there’s no drain system too big or small for us to handle. Simply get in touch today, and we’ll help you see the full picture when it comes to your drains! When disaster strikes with your drains, the last thing you want to do is wait around for someone to come and fix the problem. 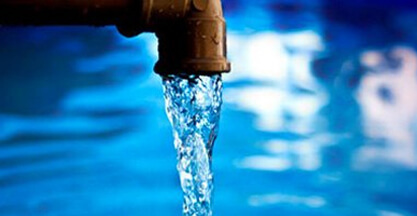 Leaking pipes and flooding floors can end up doing some serious damage to your property. The longer you leave it, the more time and money it will take to put things back to normal. Don’t panic, though- at Clark Drainage, we’re always on hand to help. Our expert drain technicians are available 24 hours a day, 7 days a week- even on bank holidays. We have offices across every city in Scotland, which means we can get to you and put things right in no time at all. With their own vans, and access to high-pressure water jets, our technicians can come out to even the most remote locations to tackle any blockage. They are all highly trained, too, so even if the issue turns out to be more complicated than a simple blockage, they can usually fix things there and then. Other drain cleaning companies will leave you waiting while they get the parts they need, but with Clark Drainage, we always aim to get things done as quickly as possible. Clark Drainage are the ideal choice for emergency drain unblocking, since our average call out time is just 1 hour. We know that disaster can strike at any time, but we’ve made it our mission to keep Scotland’s drains flowing smoothly 24 hours a day. As soon as you get in touch, we’ll dispatch a technician right away, to keep any water damage to an absolute minimum. Best of all, if you already use our regular drain maintenance service, then emergency call outs come completely free- that’s how committed we are to our customers. When disaster strikes, remember that we are only ever a phone call away- simply dial 0141 280 3431, and help will be on the way! Most of the time, a standard drain cleaning service is enough to get the job done. However, there are times when the blockage just won’t budge, and you need a more powerful solution. Fortunately, Clark Drainage can provide exactly that with our drain jetting service. Using a highly pressured stream of water, our engineers can quickly and effectively clear even the most severe blockages with ease. 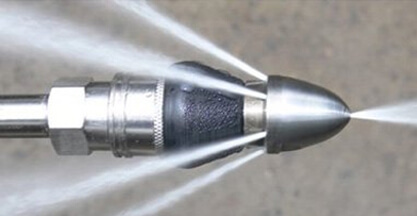 There are plenty of advantages to drain jetting, but the biggest one is the fact that it’s an extremely flexible solution. All sorts of different drainage issues can be fixed with drain jetting, so it allows us to get the job done that much quicker. 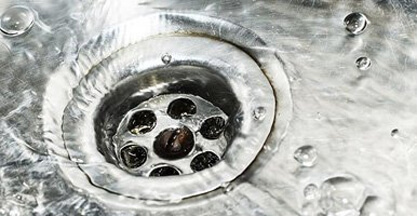 Whether your pipes have been blocked by a build-up of fat and other kitchen waste, or a tree root is stopping water from flowing through your drains properly, our high-pressure jetting service will clear the problem in no time at all. What’s more, the jets have a much greater reach than drain rods, so there’s no blockage that’s out of reach of their stream. Even if your pipes are blocked from deep within, our jets will make short work of the debris. That means you won’t have to take a lot of time out of your day to sort out a blockage- in many cases, we can get the job done in less than an hour. Our drain engineers carry jetting equipment in their vans as standard. That means they are always ready to go, and can clear virtually any blockage in record time. You won’t have to worry about how long it will take- we’re always ready to go. We’re committed to providing the very best drain cleaning service in the whole of Scotland, and with our jets in tow, we really do outshine the competition. From regular maintenance to emergency callouts, no one can clean drains like we can. So, next time you need an obstruction cleared, you know where to come. Day or night, we’re here to help! Thanks to the huge amount of experience that our drainage engineers possess, they can tackle virtually any problem you might be having with your pipes. However, there are some cases when they only way to fix your drains is by getting up close and personal with them- which will require a drain excavation. This is typically a last resort, since we want to keep disruption to a minimum for our clients wherever possible. However, if we do need to carry out a drain excavation, you can rest assured that our team of professionals will have things sorted for you in next to no time. A drain excavation is a delicate procedure- you don’t want the engineers to accidentally cause any more damage to your pipes in the process of digging them up. In addition, an excavation is usually only necessary when there are some serious problems with your drains. For that reason, you’ll want to be sure that whoever is carrying out the excavation knows what they are doing, and possess the equipment and expertise needed to fix even the most damaged drains. From multiple holes in the pipes to a complete collapse, excavations require some seriously skilled engineers- and we’ve got just what it takes to put any problem right. If it turns out that the pipes are damaged beyond repair, then our technicians are also qualified to fit a new pipe access installation, too. 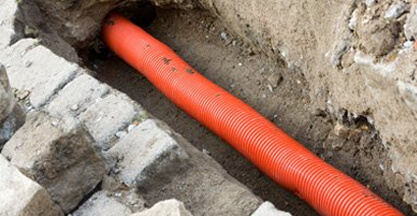 Thanks to their years of experience, they are the ideal choice for fitting a completely new drainage system. What’s more, our national network means we can get the parts out in no time at all- so no more waiting around for parts. We know how disruptive it can be to have your water switched off, so we work fast to get things back to normal as quickly as possible. If the worst comes to the worst, then don’t call in the amateurs. Instead, let us take care of the drain excavation work for you, and you can rest assured that the project is in safe hands. Call now on 0141 280 3431, and we’ll be happy to talk you through the whole process. It’s a pretty safe bet that most of the time, you probably never give your drains a second thought. After all, if things are flowing smoothly, then there can’t be anything wrong with them- right? In fact, though, a lot of common drain issues start out so small that you don’t even notice them. Instead, they build up gradually until you’ve suddenly got a serious problem on your hands. However, this can be prevented through regular maintenance- and Clark Drainage will be happy to put your mind at ease when it comes to your drains. Regular drain maintenance is especially important for commercial clients. If your business suddenly starts flooding due to a blocked drain, then you’re going to be out of action until you can get things fixed. This can end up being much more expensive than the repairs themselves, as your business is losing money until it can reopen. Instead of letting things get that far, it’s a smart idea to nip any problems in the bud. With our expert drain maintenance service, you’ll get peace of mind that disaster isn’t going to strike- and that your business and your drains will keep flowing smoothly. Best of all, since we offer a 24/7 service, we can carry out our drain maintenance service at any time of day. Whether you’re a commercial client and want us to work out of office hours, or you need your drains at home sorted at a convenient time, we aim to be as flexible as possible. Our technicians can come in at a time that suits you, so that they don’t end up getting in your way. While other drain maintenance companies can be a nuisance, Clark Drainage always puts the customer first in everything we do. Let’s work together to keep your drains clean and clear- call us today on 0141 280 3431 to find out more about what we can do for you!